It wasn’t too long ago that goalies didn’t wear masks. They faced rock-hard pucks flying at them without much protection—until Montreal Canadiens goalie Jacques Plante had enough. Jacques Plante had broken many bones: his nose (four times), his cheekbone (twice—the right one, then the left), and he’d even fractured his skull. So Plante got to work, stood up to the people who laughed at him and helped develop the first goalie mask. 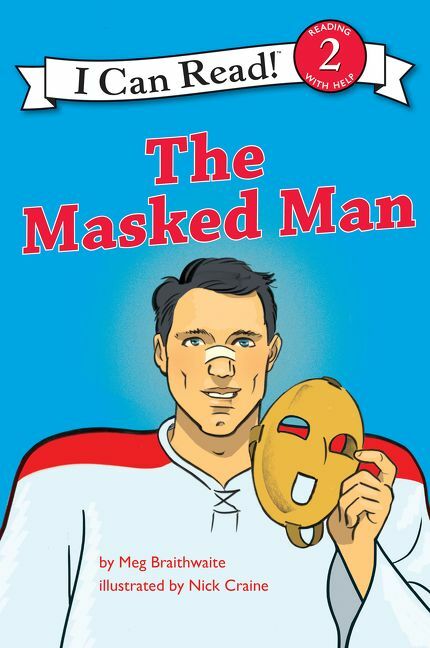 Ideal for young hockey fans and future stars, this level-1 I Can Read book is perfect for children learning to sound out words and sentences.